Produttori del Barbaresco is known to be one of the world’s finest co-ops, offering great values throughout its entire range of wines. 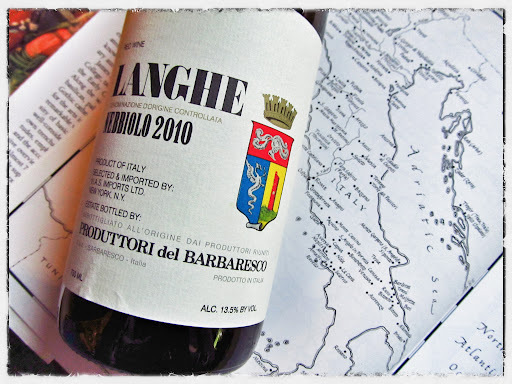 The Langhe Nebbiolo is produced from younger vines, or grapes that for a variety of reasons were not selected for their famed Barbaresco. Translucent ruby-garnet in colour, aromas of cherry, cinnamon and earthy tree bark curled up in my glass. Tart cherry flavours mingled with leather notes and were supported by smooth black tea tannins in the medium body. Spicy white pepper and earthy raisin elements comprised the moderate finish. Simple, rustic and easy drinking, this is a brightly brisk glass that enjoys a meal.